You are here: Home / Podcasts / 8 Effective Strategies to Recruit Teachers This Spring: (And is Strategy #5 an Acceptable Strategy)?? If you are recruiting teachers it’s important to make sure you are using effective hiring practices. We are providing a free resource to help you ensure you are using fair and reliable hiring processes. As we discuss in our last strategy, hiring effective teachers is one of your best recruiting tools. A best practice guide to managing perceptions of fairness in school district hiring practices. A step-by-step selection process guide to help your district create hiring frameworks that can be perceived as fair and reliable. A sample scoring guide for applications and resumes to allow for reliable judgements of applicants’ hiring materials. Even if you feel your current process is effective, you may want to compare these resources to your current methods. Without formal teacher recruitment strategies there is no real direction for evaluating successful recruiting pipelines, managing the message you convey to potential applicants, and quickly identifying teachers who have the ability to help your district pivot in this new era of education. If your strategies to recruit teachers are as modern as the mimeograph, these teacher recruitment strategies may be useful for you. Don’t be the kid with the last minute Valentine’s Day box when you are recruiting new teachers this spring. How Modern Are Your Teacher Recruiting Strategies? Does your school district have modern effective strategies to recruit teachers? It’s hunting season for school administrators. Typically when you think of hunting season you think of the colors of autumn and the cool crisp air of fall. For school administrators though, hunting season begins in the early spring when college students are graduating from teacher education programs, and experienced teachers can be wooed to your district before new contracts are signed. Let’s stay with this analogy of hunting and recruiting teachers for a moment. Over the past 50 years the sport of hunting has evolved and changed utilizing every advantage imaginable from the clothing, weapons, game calls, scent block, and a multitude of technological tools ranging from cameras to mobile apps. Meanwhile, the demand for effective teachers has never been higher, yet many districts operate without any modern strategies to recruit teachers beyond replacing job postings from bulletin boards in the teachers’ lounge and local colleges to district websites. Effective teacher talent acquisition should be one of the largest priorities of any school district. 1. The essential first step in your arsenal of strategies to recruit teachers is knowing who you are. What are the core values of your district? It is substantially easier to recruit teachers and identify candidates who will be a good fit for your district if you share the same values and vision. Do the core values of your district really influence the everyday decisions made throughout the district and are they job related? If so, share those values on your job postings page and advertisements for open positions. Doing so will allow potential applicants to identify with your district and its vision. Consider using teacher hiring tools that are able to identify candidates whose values fit the values of your school district. Millennials are entering the teaching ranks and research has shown they are not solely focused on jobs that pay the most. This new generation of workers are looking for a higher purpose in what they do. 2. The next step in strategies to recruit teachers is to inspire potential employees by sharing your values and purpose. Tell your story. Interested teacher applicants want to know more about the district they may work for. Put together a slideshow or video that shares your district’s culture on your district’s employment web page. Share your district’s earliest beginnings, struggles, triumphs, and major milestones. Finally share your vision for the future and how the potential applicant can help take you there. Teacher applicants who perceive they are a good fit for your district are more likely to be drawn to your school if they personally identify with it. 3. Don’t be passive in your strategies to recruit teachers. Set up a lightning rod event in your district to recruit effective teachers. So what is a lightning rod event? Career fairs are a perfect example of a lightning rod event. At these events job seekers all converge to one location in efforts to find a potential employer. However, for those recruiting at job fairs there are a few issues with job fair venues. The first issue is competition. Job fairs are full of other school districts that are vying for the same teachers. Your school district has to compete attention among many other school districts. Instead, you may consider hosting your own venue to recruit teachers. Do this before job fairs ever start (think early February and don’t forget about fall semester graduations). When new teachers are graduating college they are often short on supplies and practical knowledge. Consider asking teachers in your building to pool unused supplies, books, and materials to share with new teachers, or ask community businesses to help donate supplies. School districts could provide workshops, led by existing teachers, to help instruct new teachers with valuable skills such as classroom management skills, lesson planning, technology training and planning for the first day of school. Advertise these types of events at nearby colleges and through social media. Collect personal email addresses and areas of certification from those who actually show up. (Try to avoid collecting college email addresses since those will likely expire when the student graduates). When teachers self-select to attend an event and you have provided them with valuable tools and resources, you have already entered into a relationship with them. Later you can use their email addresses to directly recruit/market open positions. This type of permission marketing (recruiting) can be a very effective strategy in recruiting teachers. 4. 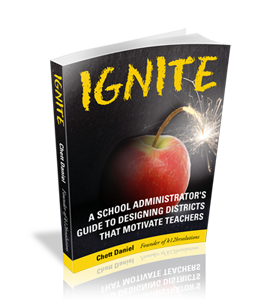 Use effective teachers and administrators as ambassadors in your strategies to recruit teachers. Great education professionals often have opportunities to present to large groups of effective teachers. Make sure that anytime teachers, principals, or superintendents are representing your school at a large venue where other schools are gathered they take a moment to tell the district’s story and share a little bit of the district’s culture. When other teachers (and possibly administrators) see some of the best and brightest of your district their interest in the district can be piqued and chances of recruiting effective teachers from other areas increase. Before attending the event let enlist the help of your district IT group to set up a landing page (an informational webpage that collects user information) to thank attendees for their interest in your district. Ask them to share their contact information and area of certification so you can let them know about future openings and initiatives in the district. You can use an auto-responder (online mail service) like getresponse or aweber to collect email addresses. This will allow you to broadcast messages to a group of potential future teachers and administrators. Autoresponders can show you how many people see your message and are interacting with the material. To make finding the web site landing page even easier and less intrusive at a conference event, put the link to your landing page on a QR code in your presentation or on brochures that are distributed at the event. If all of this sounds like something you would like to use, but sounds too confusing and you have no idea how to set up, get in touch with us. We can set it all up for you at a cost we promise you will be satisfied with. This is an effective way to incorporate modern strategies to recruit teachers in large gatherings and it is substantially more effective and provides more insights than simply posting an open position to the masses and wondering where your prospective teachers are coming from. 5. Headhunting is the practice of actively recruiting an effective member of one organization to join a different organization. It is common in many different sectors, especially in business, but has not become a common practice in education . . . . . yet. Effective school districts search for creative strategies to recruit teachers every year and often struggle to find high quality job candidates among the crop of recent college grads and job seeking veterans. Some school districts try to lure experienced teachers from nearby districts by promising better working conditions, higher pay, and better benefits. As a result, schools with fewer financial resources sometimes struggle to retain their most effective teachers. As districts feel more pressure to produce higher scores the competition for effective teachers will continue to increase. Most administrators have mixed feelings about this new environment of education, but it is a reality that must be considered as recruiting and retention strategies for teachers are developed. 6. Provide job previews through online videos and interviews with teachers from all demographics on the employment page on your district’s website. Many applicants are curious about the working conditions, co-workers, student population, and general climate of the district. Select newer teachers and veteran teachers to discuss their experiences while working for the district. If possible, try to feature a diverse group of education professionals. Applicants will likely feel more comfortable when they see incumbents who are similar to their ethnic background. When applicants have a chance to preview the climate of their workplace it is likely they will try to envision themselves working there. If they perceive they are a good fit, you are likely to have a more committed applicant in your strategies to recruit teachers. 7. Consider using a referral program. Did you know referrals are one of the top sources of new hire quality in any industry? Your existing effective teachers likely know other effective teachers that work for other districts and help you recruit teachers to your district. This goes back to teacher recruiting strategy #3. You may be attempting to lure teachers from other districts, but it’s for the kids. Right? Some employers even offer rewards to employees when their referrals pass through selection processes and receive high initial scores. You can also gather referrals from parent teacher groups and local colleges (though I don’t know that incentives would be appropriate in those cases). 8. Use social media within your strategies to recruit teachers. Most districts have adopted the use of social media to interact with the patrons of the district. Consider sharing job postings on social media pages. Patrons may not look at school district employment web pages, but posting openings on social media sites could allow people to share your open positions with others in their network and help the district in their efforts to recruit teachers. Generally, school districts should try to cast a wide net when fishing for new talent. Posting on social media sites allows districts to broadcast openings to a much broader audience. One of the most important teacher recruiting strategies is hiring right. This may seem like we are putting the cart before the horse, but stick with me. When school leaders can staff their buildings with the right teachers the culture of the building changes. Additionally, when teachers feel they were treated fairly in the hiring process they are more likely to tell their friends. This relates back to strategy #7. Good teachers can often help recruit friends of theirs who are good teachers. We are providing this free resource to help districts understand how to design fair and reliable hiring systems for teachers. We hope you found a few of these strategies to recruit teachers useful. In an era of teaching that is constantly pushing teachers out of their comfort zones to become more effective teachers, it is time for school leaders to follow suit in their recruiting and selection practices. If any of the teacher recruiting strategies we mentioned in this post stretch you out of your comfort zone, please contact us and we will do everything we can to help you put together a teacher recruiting and selection strategy that will attract effective teachers to your school district. If the goal of your district revolves around providing high quality instruction to prepare students for their future, develop high quality strategies to recruit the best teachers in your market. (If you found the information in this post helpful please do us a favor and share it on the various social media sites you subscribe to. Our goal is to increase school district effectiveness through human resources. 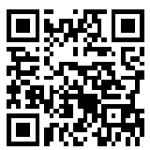 Please help us reach out to others who can benefit from the information shared here at k12hrsolutions.com).